Turn heads in this new sophisticated design by TuffRider. This breech features a new extended knee patch made from durable and stylish silicone, in a flattering and subtle pattern, that extends up the inside of the leg, providing enhanced contact in the saddle. Made with lightweight stretch denim material, these breeches are elegant and comfortable for all riders. Low-rise, Euroseat, featuring single hook and loop closure and innovative CS2 bottom that fits comfortably underneath your boot. 70% Cotton, 22% Micro Polyester, 8% Spandex. 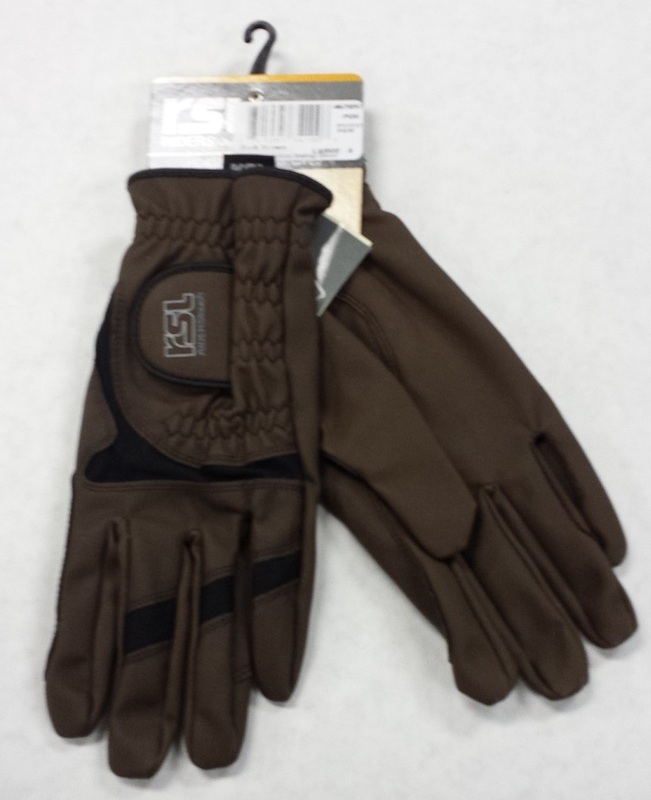 Rotterdam Glove is designed in Germany to deliver a precise fit, flexibility and comfort. Serina™ shell and Coolmax® inserts make them ideal for show. Hook-and-loop wrist closure. 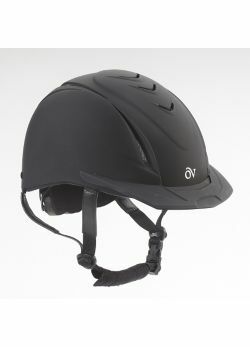 Lightweight low-profile helmets from Ovation®! 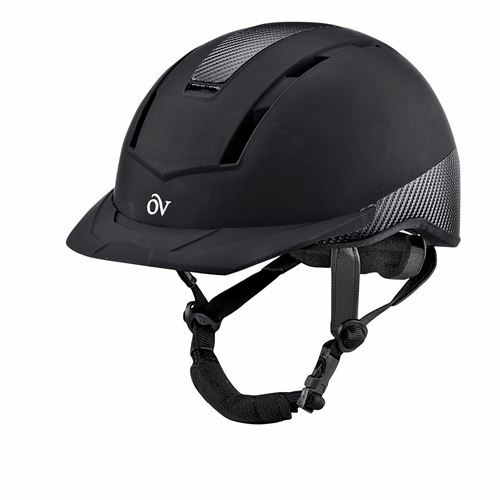 Helmet features: In-Mold design that fits like a glove, extra strong stainless steel air vent mesh, easy adjust dial for a snug fit, extra strong adjustment teeth for added helmet life, high flow vents to keep you cool, easy to clean rubberized finish with carbon graphic print, removable washable Coolmax® liner, removable breakaway visors, exclusive YKK® adjuster clip and buckle are positioned to stay off of the rider's face for comfort. Certified to ASTM standards.